Handsome and I have a song that speaks to our relationship. Let me clarify that, we have several songs that speak to our relationship, because when you’ve been together over 20 years that tends to happen. However, last year I wrote about that one special fun song as an entry in a contest and it was accepted in the published anthology. The fun tidbit, was it also was my wedding anniversary present to Handsome 20 years! Have you ever heard a love song and thought, that song is about me and my loved one? Or by chance a song that you had on repeat through a hard time or breakup? Then this fun book is for you. 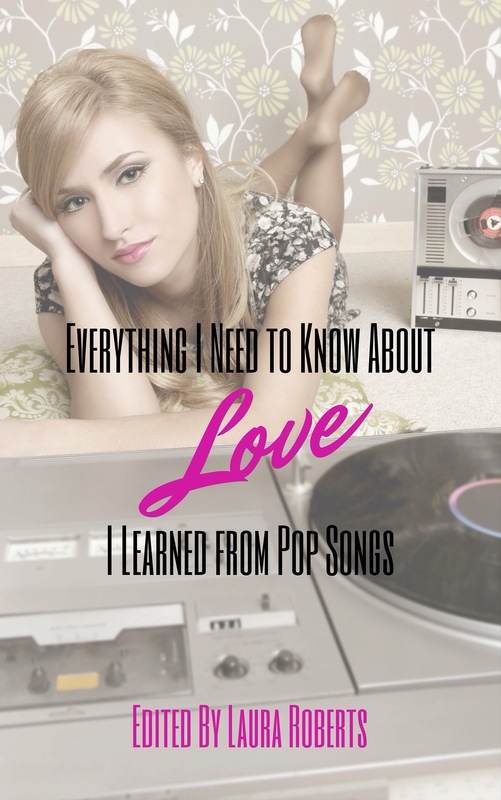 It’s a great collection of essays that speak to; “Everything I Ever Need to Know About Love I Learned From Pop Songs”. I’m thrilled to be included with the other authors in this anthology. Continue that loving feeling by picking up your copy today. The stories are sweet, funny and thoughtful. Also we love reviews, remember sharing is caring and self publishing thrives by word of mouth. Discover some hidden gems. What is your love song that speaks to you? Tell me about your love song in the comments below.